Last Friday night I took Little Mama and Boo-Boo to the movies to see Trolls. Blondie had seen it the week before with some friends at a birthday party and told us how great it was so I knew I definitely wanted to take the other two littles to see it. From the creators of Shrek comes DreamWorks Animation's Trolls, a smart funny and irreverent comedy about the search for happiness, and just how far some will go to get it. After the Bergens invade Troll Village, Poppy, the happiest Troll ever born, and the overly-cautious curmudgeonly Branch set off on a journey to rescue her friends. Together, this mismatched duo embarks on a rescue mission full of adventure and mishaps - trying to tolerate each other long enough to get the job done. This movie was surprising SO good!!! It wasn't at all what I was expecting. I mean, some kid movies are fun and cute while seriously lacking a good message, but that was not the case with this movie at all! This was fun, cute, and packed a great message about the importance of finding happiness within yourself and not relying on other people or other situations to make you happy. There is singing, dancing, hugging, tons of great music and lots of visually appealing colors and animation. We were dancing and laughing throughout the entire movie and when it was over I asked my kids what they thought. Boo-Boo had a huge smile on his face and Little Mama told me she wished she was a troll! I can't blame her. These colorful creatures have fun hair and spend their days dancing and singing the day away. 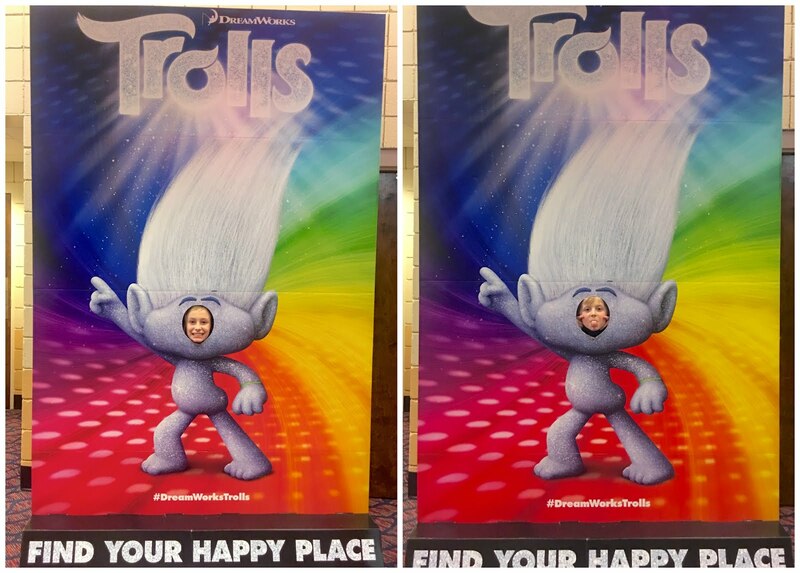 I think I'd like to be a troll, too! The music in this movie was amazing. Justen Timberlake produced the soundtrack so you know it's got to be good! Lots of fun twists on familiar tunes and some original songs, too by hit artists like Justen Timberlake, Ariana Grande, Anna Kendrick and Gwen Stefani. There is everything from disco to pop to hip-hop. 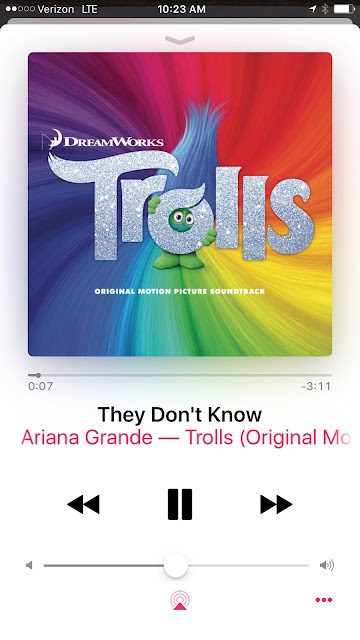 I immediately bought the album for the kids and we have been listening to it nonstop. In fact, I've even been listening to it when my kids aren't around. I'm telling everyone I know to go see this movie. I would definitely go see it again and I know my kids would also. So curious to see what others think! Have you seen the movie? Did you love it as much as we did?